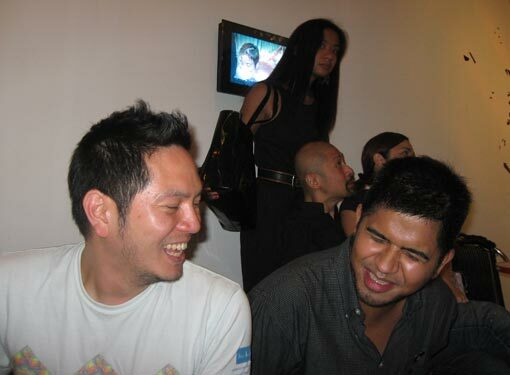 Article about Manila’s contemporary art! 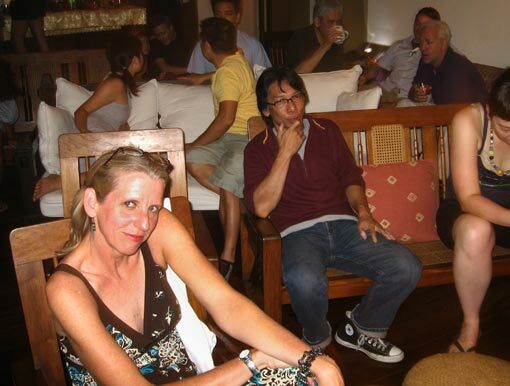 Galleon Trade is thrilled to see writers discussing the Manila art scene! Gina Fairley does a good job encapsulating its recent history and current status. SYDNEY. The Philippines is a country of contrasts. It is shackled by religion and government corruption, its mega-city Manila squeezed between shanty towns and skyscrapers. 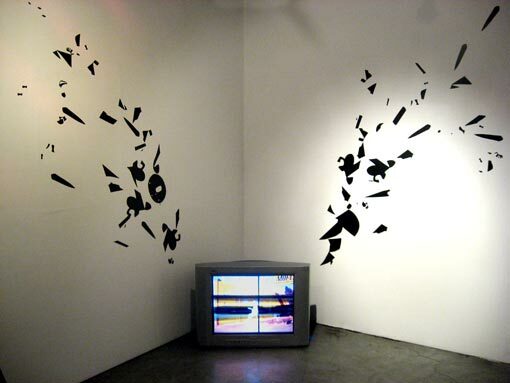 Historically, this clash has produced art with oppositional tendencies which caught the eye of international curators in the 1980s and early 90s. 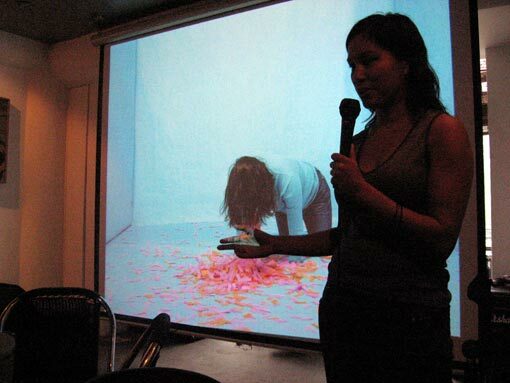 In recent years though, the Philippines has slipped off the art world’s radar, viewed as less “Asian” than its neighbours. This oversight is partly due to over-zealous travel warnings, but even more to the physical impenetrability of Manila’s art scene, which is something of a labyrinth traversing the city, from Pasay’s galleries to Makati’s private museums, the art shops in Mandaluyong’s mega-mall to the artist-run spaces around the university belt of Cubao and Quezon City—not to mention the 7,000 islands. 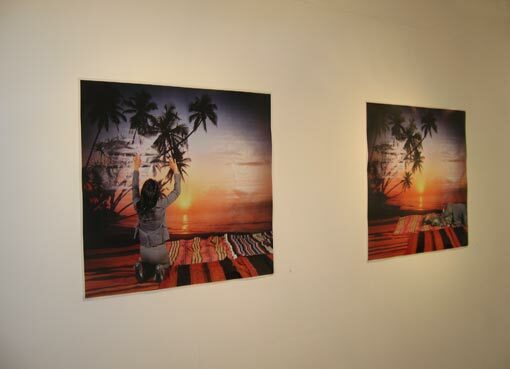 How does one get around the obstacle of geography to discover what is new in Filipino art? Perhaps the most accurate barometer of current trends is provided by the country’s many competitions and awards: the Cultural Center of the Philippines’ (CCP) triennial Thirteen Artists Award, the Art Association Annual Competition and the Ateneo Art Award, now in its fourth edition and given to the best solo exhibition by a Filipino artist under 35. 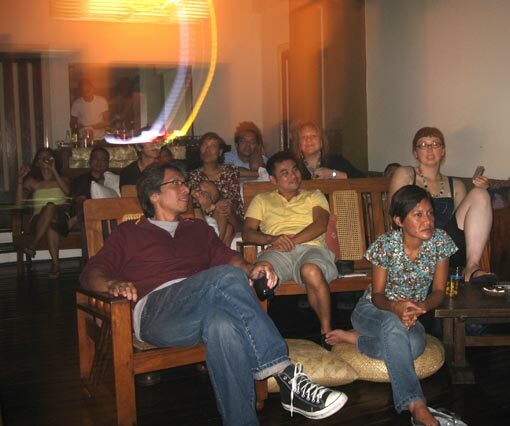 Last year’s winners for the latter prize were: Maya Muñoz’s psychological portraits in “Closer” at Hiraya Gallery in Manila; the compelling performance/installation Banquet by Mideo M. Cruz at the CCP; and Poklong Anading’s “Anonymity” at Finale gallery in Makati City, combining high and low technology in a comment on Filipino identity. This year’s winners are announced on 8 August. 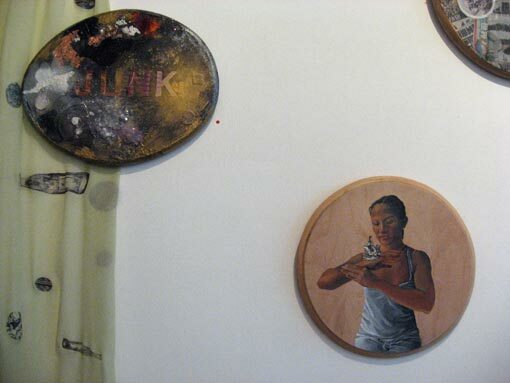 Filipino art is about being urban, not Asian. Bembol dela Cruz’s technically adroit tattoo portraits exhibited at Future Prospects last year illustrate this perfectly. 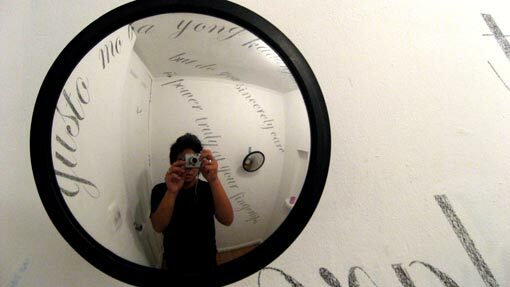 Subscribing to global design styles and grunge- glamour, they connect identity through body art and urban graffiti. Olan Ventura also paints with plastic perfection, inspired by Japanese manga comics. He is having his first international solo exhibition with Taksu Singapore this year. 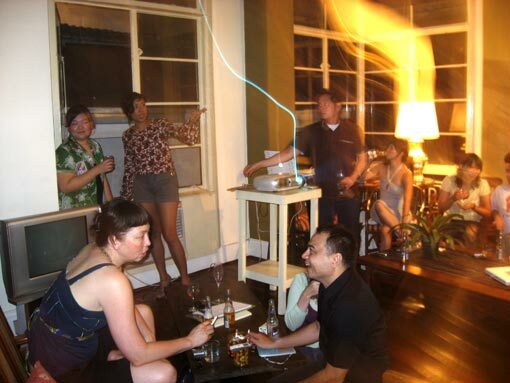 Together with other young artists breaking into the regional scene, such as Lena Cobangbang, Luisito Cordero, Jayson Oliveria and Wire Tuazon, they are shaping contemporary Filipino art. 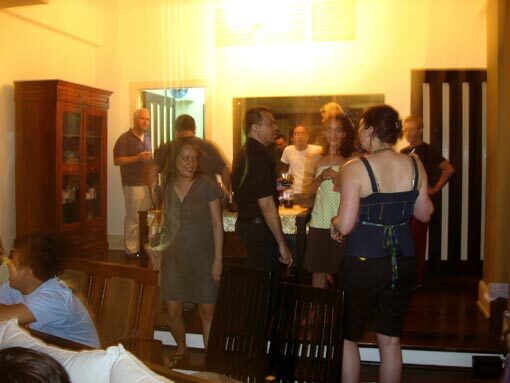 At the same time, expatriate Filipinos who have been showing and producing work internationally are returning to engage in the local scene and exhibit work in Manila, including artists such as Manuel Ocampo, Paul Pfeiffer (who was born in Hawaii but raised in the Philippines), Alfredo Aquilizan, Maria Cruz and Alwin Reamillo. 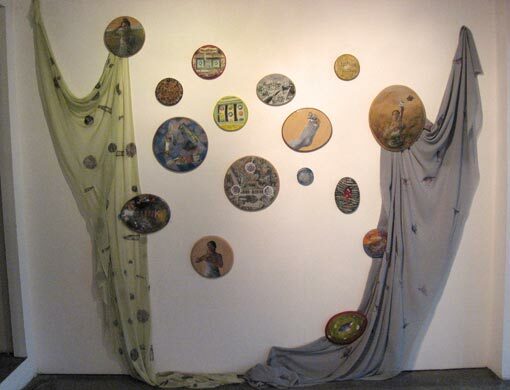 The current art scene has evolved out of a succession of alternative spaces opened in the 1990s and run by artists educated in the post- Marcos era at the University of the Philippines and on large doses of Art in America. 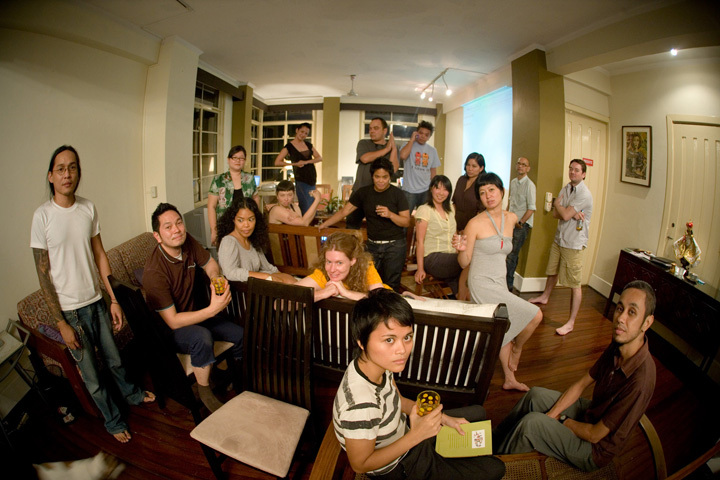 These include venues such as Third Space Art Laboratory, Surrounded By Water and Big Sky Mind. 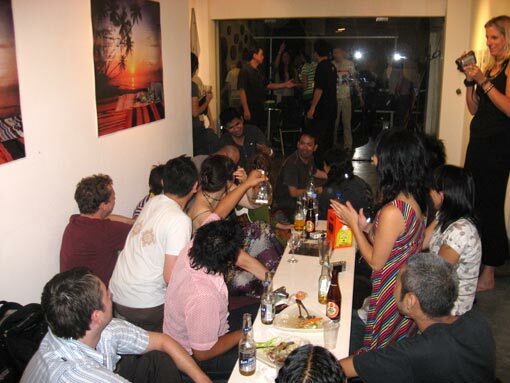 Now, a second generation of galleries have joined together over the last three years to form a group of venues loosely referred to as Cubao X, fusing graphic design, indie music and art. Who are those commercial partners? The serious contenders are Hiraya, Galleria Duemila in Pasay City, West Gallery in Quezon City, the Drawing Room and Finale both in Makati. They have survived despite a stifling local economy reliant on a small group of collectors and designers working with developers. For these galleries to grow, international exposure is vital. 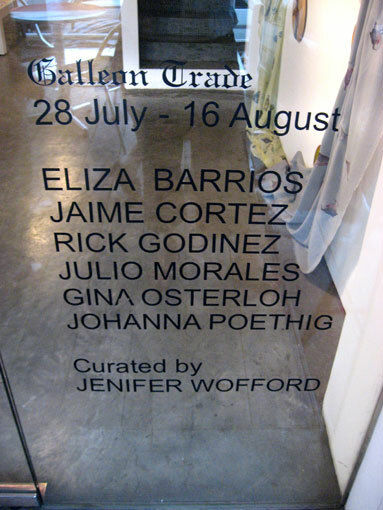 Fortunately, the commercial sector is starting to expand: Galleria Duemila recently moved to a custom-built space; the Drawing Room has broadened its activities in the Region, opening a branch in Singapore and attending regional fairs; and galleries Finale and West continue to collaborate with Roberto Chabet, an artist and educator who has been influential in developing conceptual art in the Philippines, curating salon-style surveys of young artists. Other Asian cities are also taking notice. 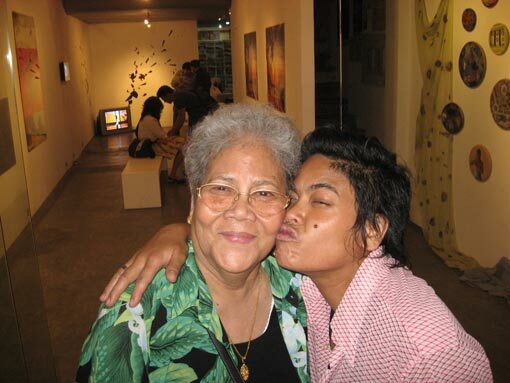 Singapore’s Taksu and Hong Kong’s Osage galleries held shows in 2005 focusing on contemporary Filipino art, “Emerging Fires” and “Metropolitan Mapping” respectively, which could be viewed as an update on Valentine Willie Fine Arts’ (Malaysia) landmark show in 2000, “Faith +the City”. GT gets MORE love from the Press! Nearly two centuries after it ended, the famous Galleon Trade that brought riches to Europe is again navigating its old routes around Mexico, California and Manila. Two weeks ago, a Galleon Trade ship docked in Manila, carrying loads of contemporary art instead of spices and stoneware of the olden days. The ship captain is Filipino-American artist Jenifer Wofford, who organized the exhibit, together with twelve Filipino-American and Mexican-American visual artists based in California: Julio Morales, Jaime Cortez, Gina Osterloh, Johanna Poethig, Eliza Barrios, Richard Godinez, Enrique Chagoya, Michael Arcega, Reanne Estrada, Stephanie Syjuco, Megan Wilson and Christine Wong Yap. 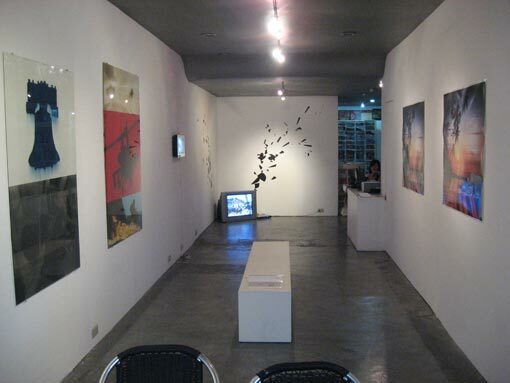 The artists exhibited paintings, sculptures, photography, installations, video art and performance art in three locations – Mag:net Gallery Katipunan, Mag:net Cafe High Street and Green Papaya Art Projects at UP Teachers Village in Diliman, Quezon City. 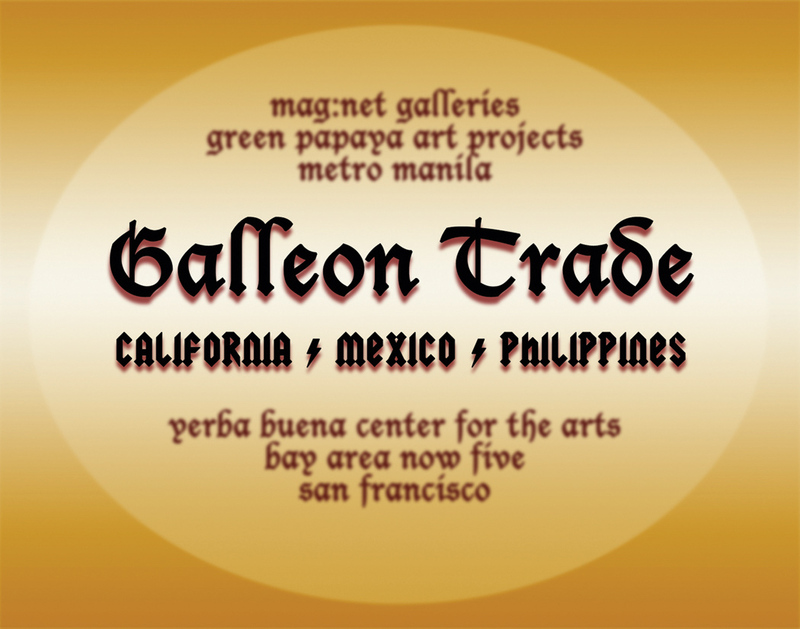 The modern-day Galleon Trade seeks to initiate a continuing art exchange program between Filipino-American and local artists. In a statement posted at the Galleon Trade website, Wofford said the exhibit aims to create new routes of cultural exchange along old routes of commerce and trade. It is out to make the Pacific Ocean smaller, by creating a sustainable template for innovative new kinds of grassroots arts exchange. This connection they tried to enrich during their stay here, as they visited places like Quiapo to rediscover the beauty of their motherland. The term “brain drain” connected to their migrating parents is no longer applicable to these Fil-Ams, Drilon says. In fact, from “brain drain” the integration of arts and culture may even lead to relocation. The journey was not easy for Wofford and the rest of the pack. The project entailed about a year of planning. It took off despite the lack of government funding from both ends. Drilon says the artists worked on very limited resources. 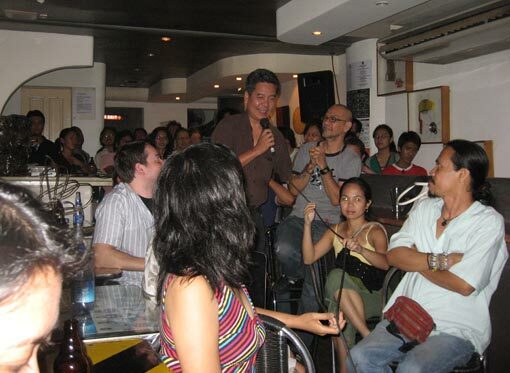 “Before coming in (to the Philippines), they raised some money to fund their project,” he says. 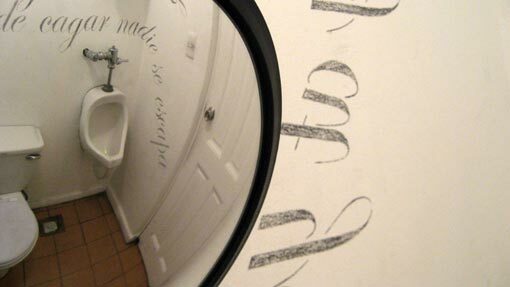 Even the closure of Mag:net Paseo and ABS, which were supposed to host two of the three simultaneous exhibitions one month prior to the opening, did not break Wofford’s spirit. Green Papaya generously hosted the component meant for Mag:net ABS while The Wall in Mag:net Cafe High Street absorbed the Mag:net Paseo component. Just like any other traveling show, there were limitations to the Galleon Trade project. 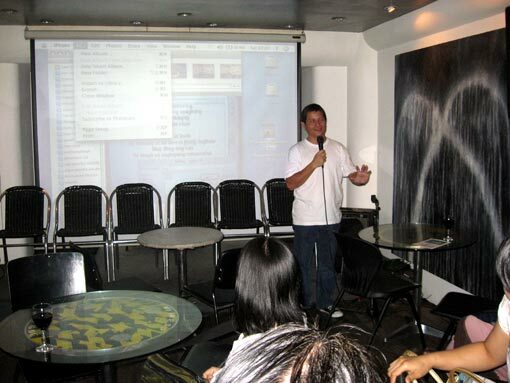 Drilon believes the artists still have more to show than what was seen in their works. “They had some restrictions because of the nature of a traveling show wherein you have to transport the art pieces,” he explains. The shows had three separate, festive openings on the last week of July. 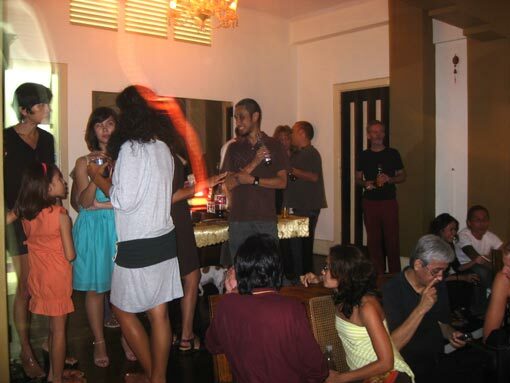 All were jampacked with the curious, the enthusiastic, local artists included. 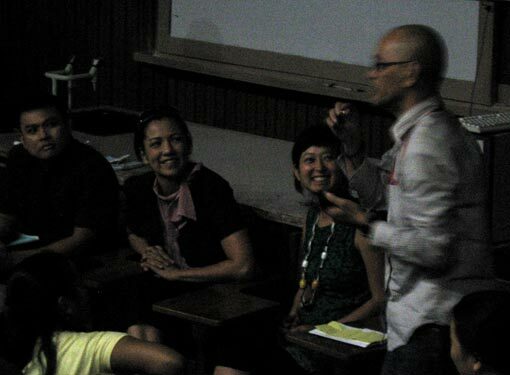 The Fil-Ams were warmly welcomed at The Wall with sound works by Sabaw and percussions by Pinikpikan. Sculpture pieces, meanwhile were distributed at Green Papaya while an art talk/ dialogue took place at Mag:net Katipunan. Drilon says the participants were visibly overwhelmed by the reception they got, and are in fact worried that they will not be able to reciprocate this when it’s the turn of the Filipino artists to hold exhibitions in California and Mexico. 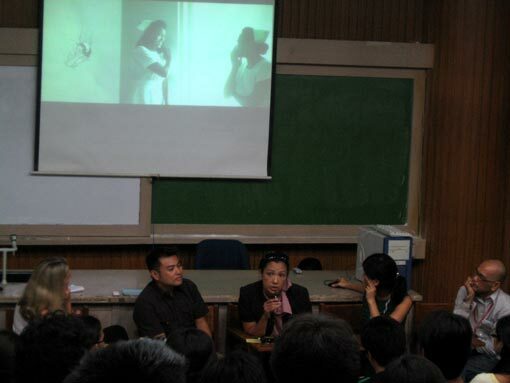 The crowd was likewise amazed with the concept of the project and the creative pieces that were featured. 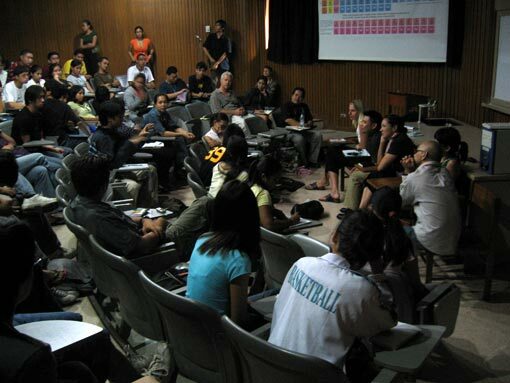 Apart from the exhibitions, university roundtable discussions organized by Galleon Trade co-organizer and curator Lucy Burns were held at the Ateneo De Manila, University of Santo Tomas and the Living Room. 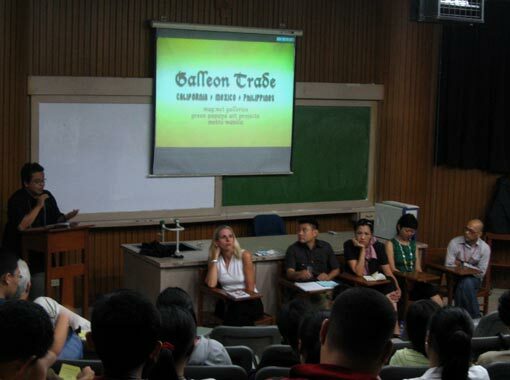 The Galleon Trade project begins in Manila and continues with reciprocal projects in San Francisco and Mexico in 2008 and 2009. Indeed, art and culture interactions between the Philippines and the Americas, North and South, may have been lost over the centuries. But with the help of the fresh concept of the Galleon Trade, the search for a new shipment of hope and inspiration has started. Galleon Trade loves Mag:net for obvious reasons. We will post Mag:net’s monthly newsletter from hereon out, so that all you fools who aren’t in Metro Manila can read about all the fun you’re missing here. 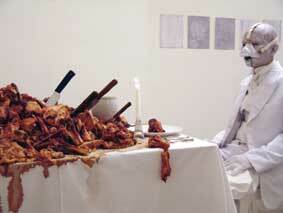 Three artists associated with Mag:net bested the Ateneo Art Awards this year. They are Lyle Buencamino for the exhibition “A Bowtie for John Lyle” shown last year at the now defunct Mag:net Gallery in ABS-CBN compound, Wawi Navarroza for the exhibition “Saturnine: A Collection of Portraits, Creatures, Glass & Shadow” at the Silverlens Gallery and MM Yu for the exhibition “Thoughts Collected, Recollected” at Finale Art File. Though Wawi Navarroza has not shown yet in Mag:net Gallery she has been performing in Mag:net Cafe as the lead singer of the band called The Late Isabel. 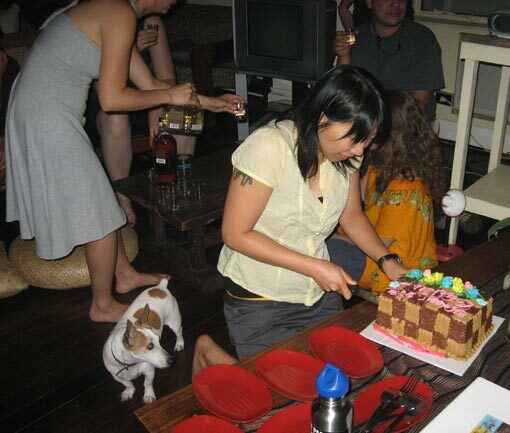 MM Yu aside from holding shows in Mag:net, also curates her Table Gallery at the café in Katipunan. To the 3 artists, our warmest congratulations! We welcome the opening of another art space, Mawen and David Ong’s MO at the Bonifacio Global City in Taguig just across Mag:net Café High Street. It’s always great to have more art spaces opening that are committed to support cutting edge art. With Silverlens now in place and doing good work and with MO’s coming into the picture, Manila is in for another great and promising period for the visual arts. 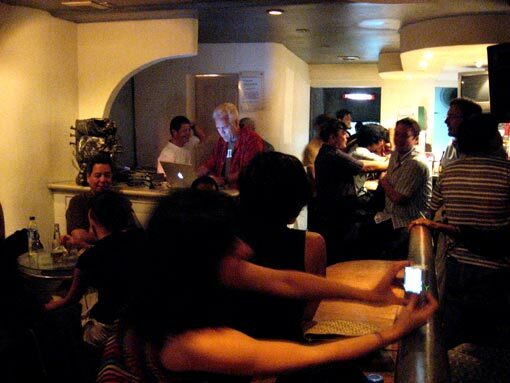 It was also nice seeing the opening crowd ending up in Mag:net Café High Street after MO’s opening last week. 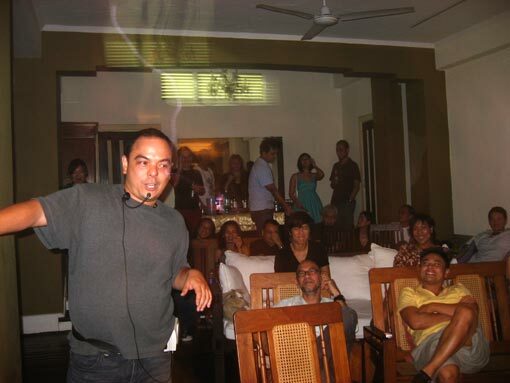 Next time we will organize a Lee’s Night or S.A.B.A.W. Night at Mag:net High Street to coincide with MO’s opening if that is OK.